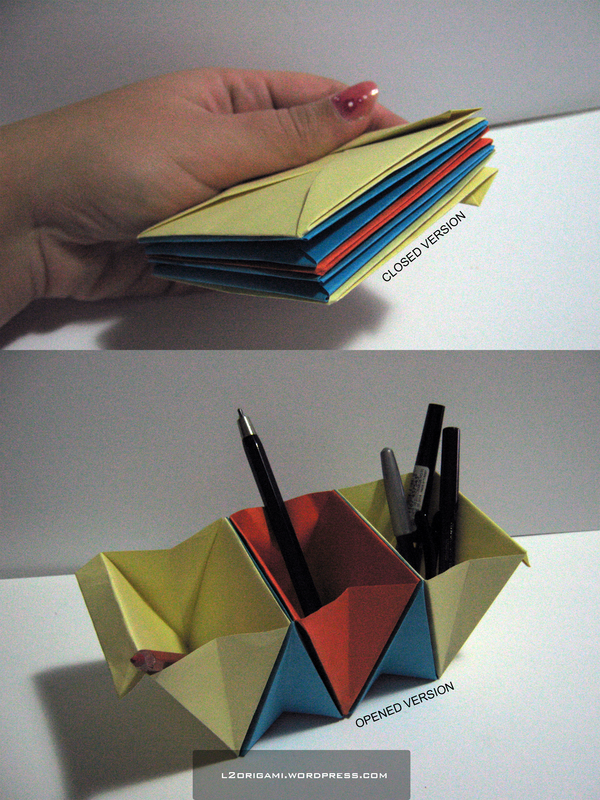 “Origami Accordion Box” – it can be how long you want it to be! 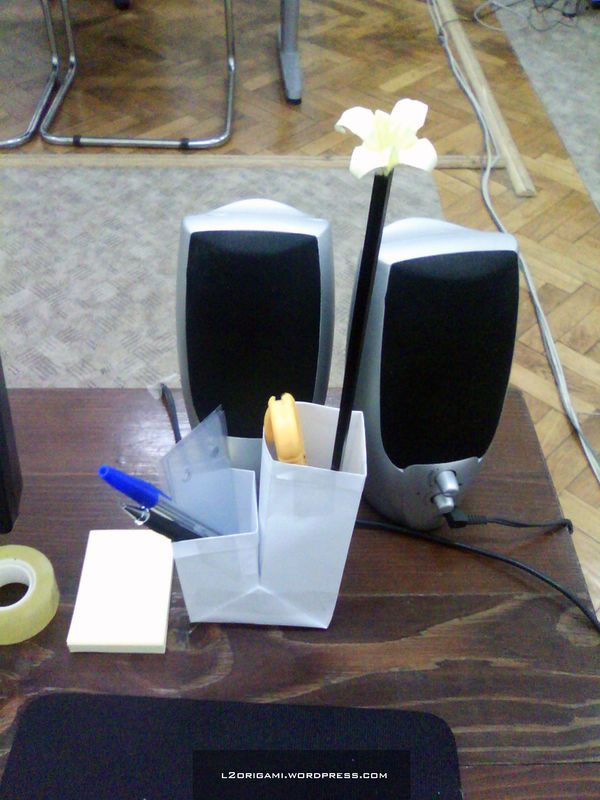 “Office Origami” – some origami I made today at work. 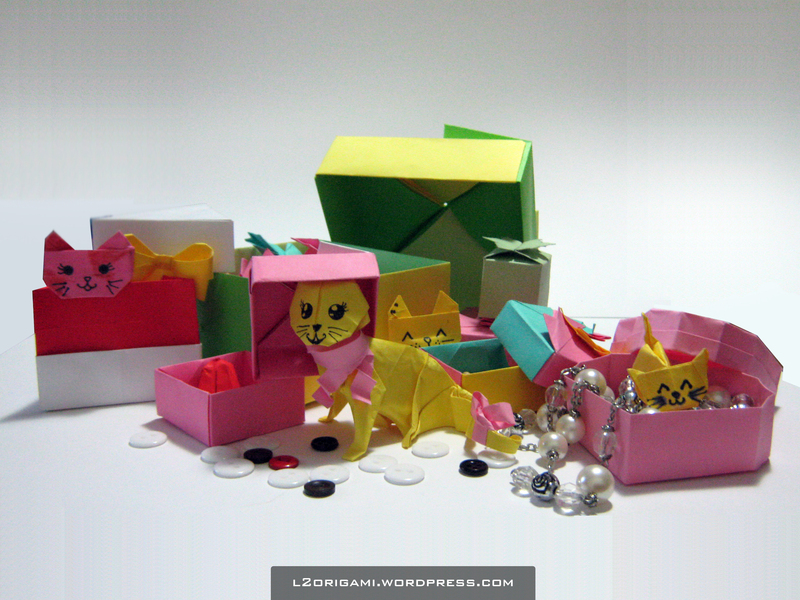 Some cute cats with allot of origami boxes! 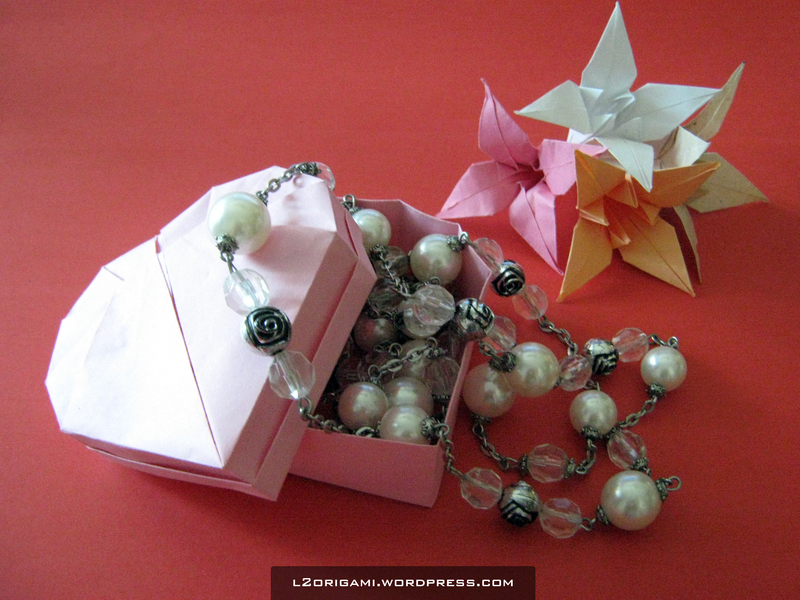 An origami Heart Gift Box. I thought … well why not … let’s go with the cliché and make the heart pink! It contains one of my necklaces. A lovely origami heart box. Some cute origami bags. 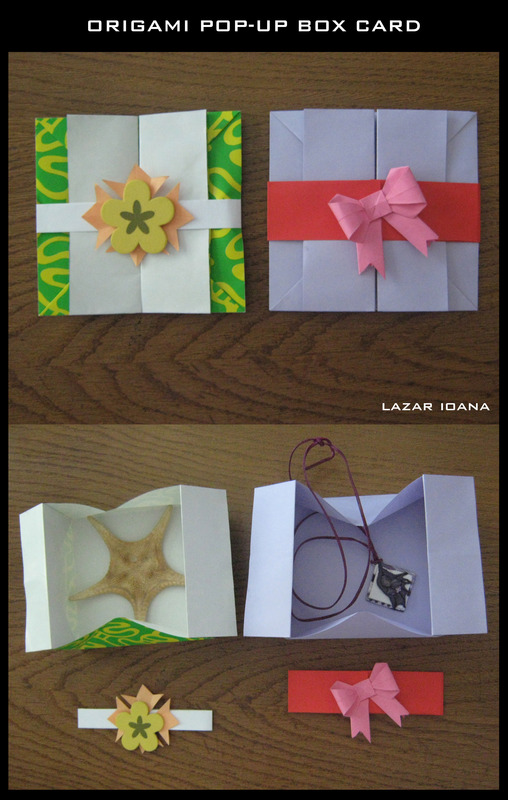 Depending on their size you can place various origami works in them. 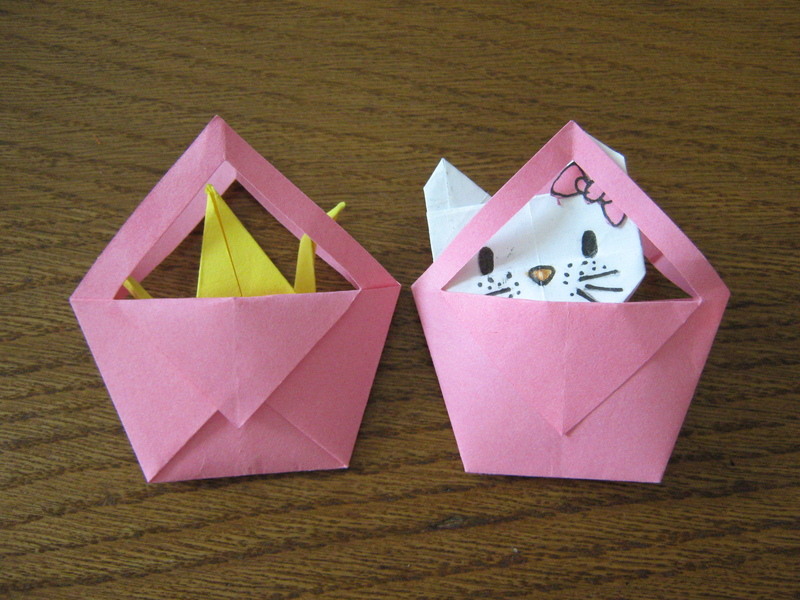 I stored an origami crane and an origami hello kitty puppet! Offer your friends/family/loved ones a special card that can contain photos, gifts or anything you like. 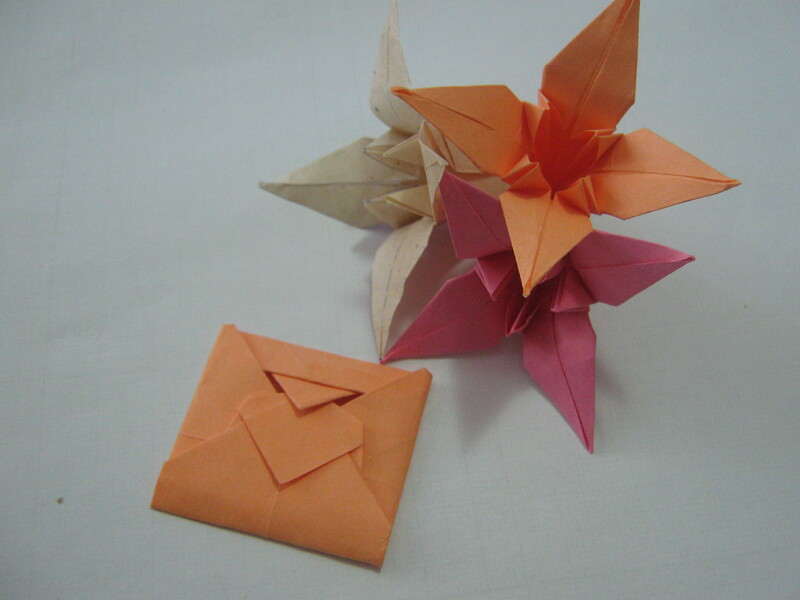 A small Origami Love Letter should never be offered to your loved one without a bouquet of Origami Flowers.